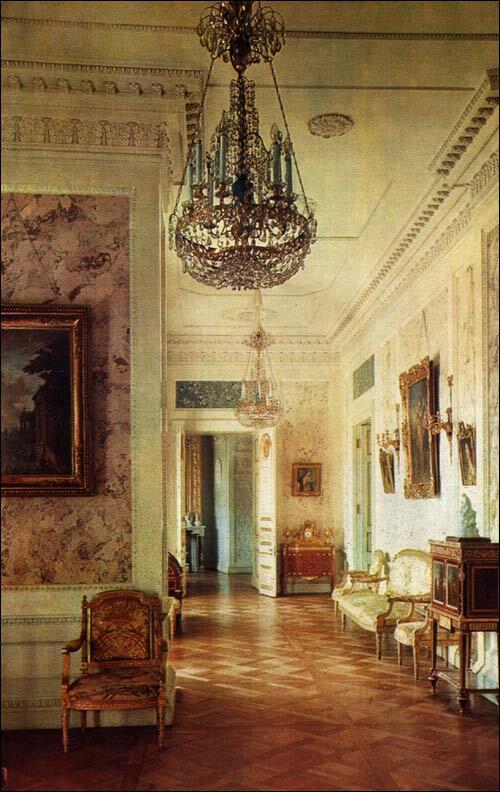 The Room for the Ladies-in-waiting contains many specimens of first-class furniture, such as a sofa and armchairs of eighteenth-century Russian workmanship, upholstered in silk with a design of swans and pheasants, woven at the Lazarev textile factory near Moscow; a cylinder-top desk by David Roentgen; and an inlaid commode stamped J. Dautriche. Among the pictures are canvases by Jean-Baptiste Greuze, Hubert Robert, Carle van Loo and other eighteenth-century painters. 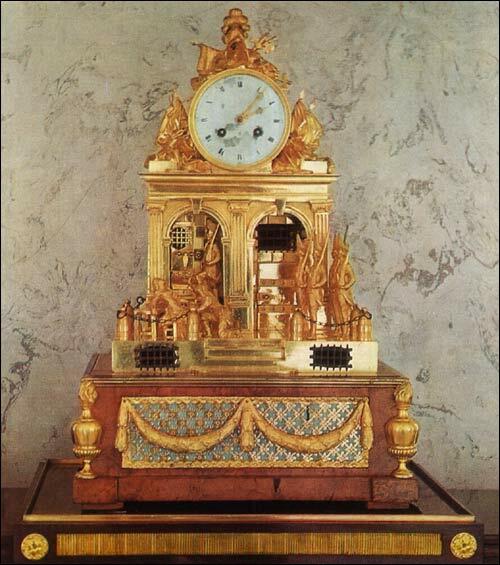 Remarkable for their fine design are the bronze sconces by Pierre Gouthiere, as is also a clock with a scene from Pierre-Alexandre Monsigny's opera The Deserter, to which a musical box in a case of Karelian birch has been added by Russian craftsmen. The mechanism plays several airs from that opera, popular in the 'eighteenth century. Visit my wonderful garden in the Palazzo Dei Cani Neri in Austin and see the beautiful bronze statues and fountains there!